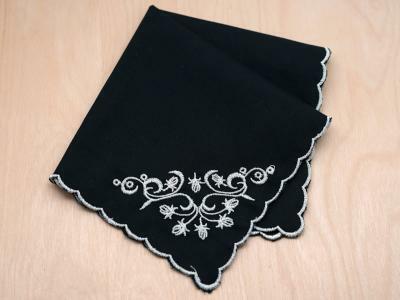 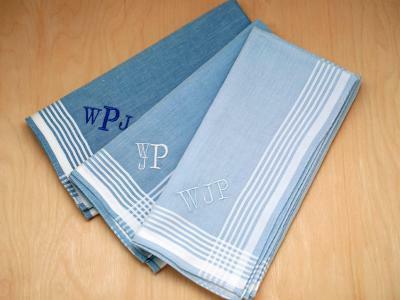 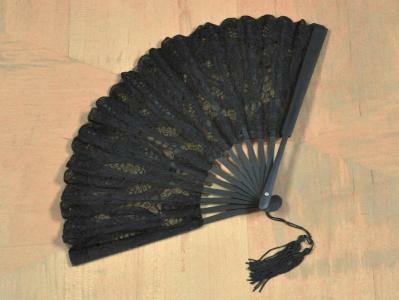 Add a touch of splash to your lace edged handkerchiefs. 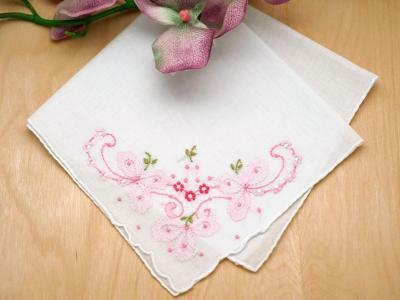 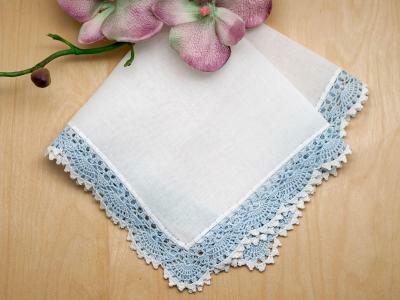 This set of 3 small crochet lace wedding handkerchiefs are perfect for our hankie crafts. 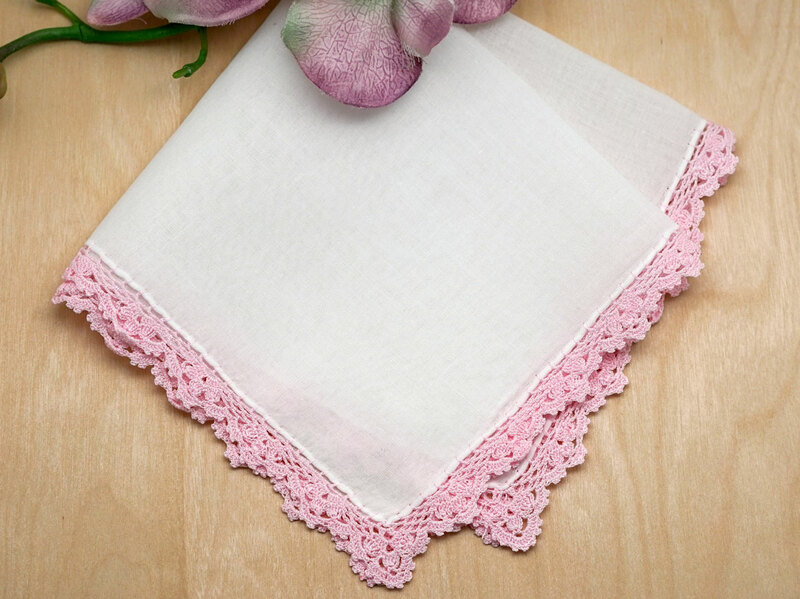 Each handkerchief has pink crochet edging all around the entire handkerchief.